Utica, NY – Coming Soon! Compact Excavators: Small, yet still hefty enough to get the job done! 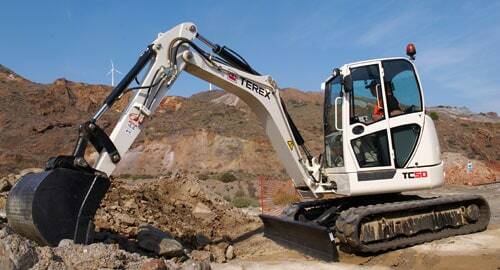 The Terex TC50 Compact Excavator Might be Small in Size, but It’s Big on Performance! Learn How This Versatile Machine is Perfect for Landscaping, Plumbing, Septic, Electrical & Utility Work, and More! Fill out this brief survey to let us know how we are doing. Tracey Road Equipment is the premiere heavy-duty truck and construction equipment dealership in New York State! We offer a complete range of new & used sales and rental equipment, as well as full service, parts, warranty, and financing capabilities. Tracey Road Equipment, Inc. Copyright © 2018. All rights reserved.